The holidays are just around the corner. In the middle of all of the hustle and bustle, we still find time to give. Aside from all of the beautiful things that we associate with holidays, such as friends, family, and good food, we also associate it with a time of giving to those who are less fortunate than we are. The Holidays are the time of year when many charities raise money for great causes, like our friends at PAWS Humane Society. 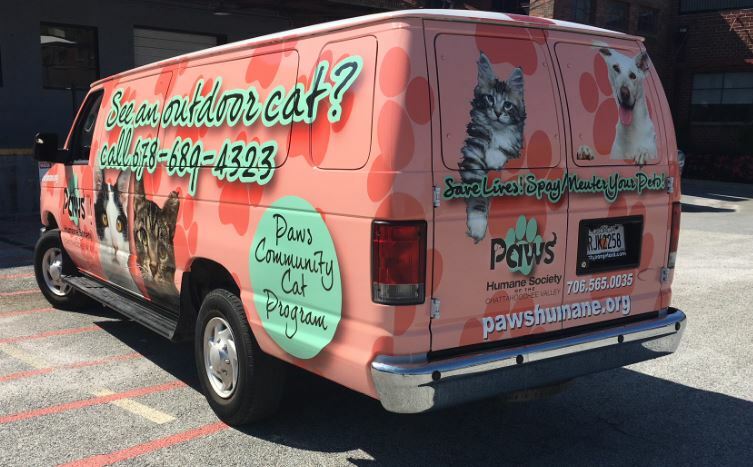 PAWS came to us and asked us to help them wrap their vehicle. We were delighted to assist with the project. Vehicle wraps are one of the most effective types of marketing that businesses can invest in. They’re mobile billboards for your brand, providing both other motorists and pedestrians a clear view of what your brand is and the products or services you provide. 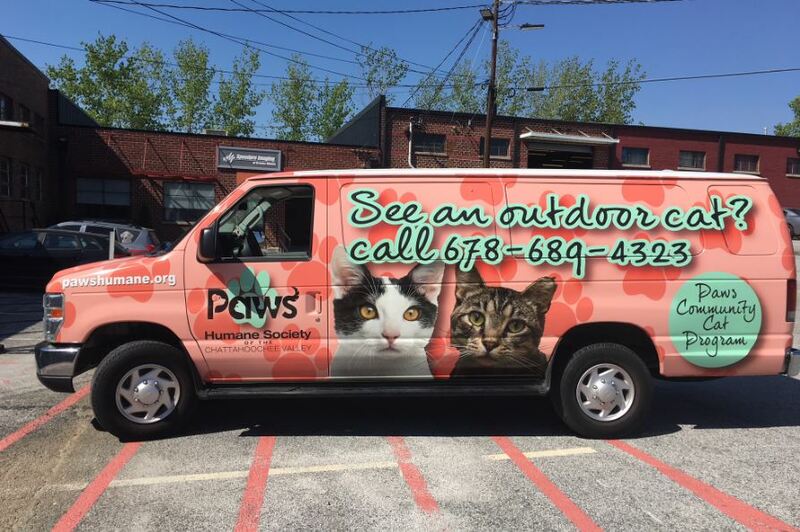 In fact, nearly half of all consumers who saw an out-of-home ad, like vehicle wraps, searched for the company online within six months, according to a Nielsen study. Professionally printed signage such as wraps, retractables, and banners are vital in attracting donors. Why? Professionally presented signage engenders trust. Trust is at the root of what encourages potential donors to give. It draws people in and conveys a message to them about why they should support your cause. By providing a sharp and engaging image on your retractable at a point of purchase, you are better promoting your cause and encouraging people to part with their hard-earned cash, which is not easy to do. You need attention-grabbing tactics in this day and age when everyone is clamoring for people to donate. It draws the eye of the donor; it helps market your business, it tells a story that touches people’s hearts. Speedpro Imaging of Greater Atlanta is here to assist you. We are happy to work with you to create signage, banners, and vehicle wraps this holiday season that will warm the hearts of consumers to give. As you are getting into the holiday spirit, the giving mood, let us help you make this the best year yet for your holiday campaigns. Give us a call today, and we’ll help you and your cause have a happier holiday season.